Why didn’t my tree leaf out this year? If your tree hasn’t leafed out this year it may be a sign that your tree is dead or in decline. Below are a few reasons why your tree may not be as healthy as last year. 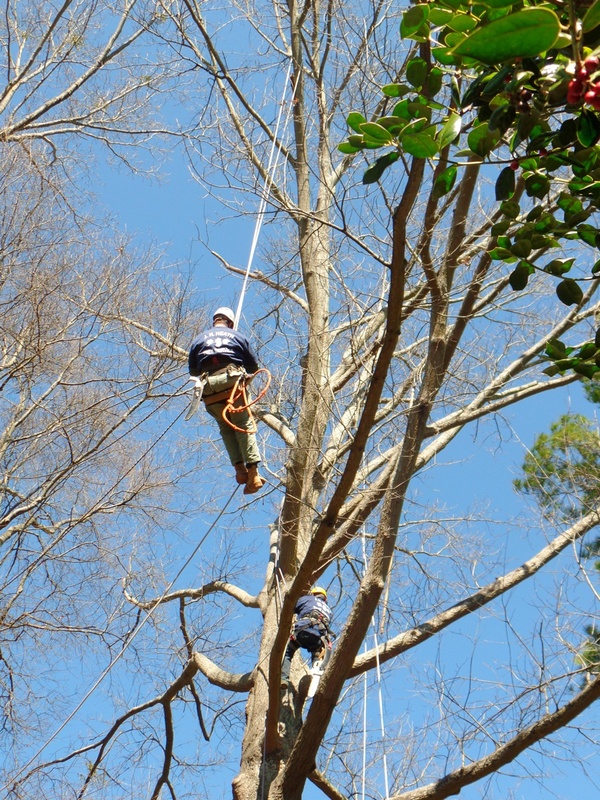 Consider these possibilities and call your Certified Arborist to properly diagnose your trees. Have you done any construction or grading at your home? Construction and grading too near a tree or a tree’s root zone can cause the tree stress. Cutting off the roots or compacting the soil on top of the roots can cause the tree to stop producing leaves and flowers. Do you see any fungal growth or mushrooms at the base or trunk of the tree? Fungal growth can cut off water supply and nutrients to your tree causing it to decline and die if left untreated. Does your tree have leaf buds that just haven’t opened yet? By this time your trees should have produced leaves. If the leaf buds on your tree are brown when you cut them open your tree may be in decline. But if the buds are healthy you may just have a late bloomer. Trees can also be affected by the weather. This winter in Atlanta was very cold, if you have young trees in your yard they may have been affected by the extreme temperatures. Is the branch dead? Check the branches, they should be green on the inside when split open. If they are not the branches have died and need to be pruned from the tree. Some trees do tend to leaf out later in the spring. Trees like Pecan, Mulberry, Walnut, and Beech tend to open their buds later in the season. Keep an eye on them and call an Arborist if you are worried about your trees.